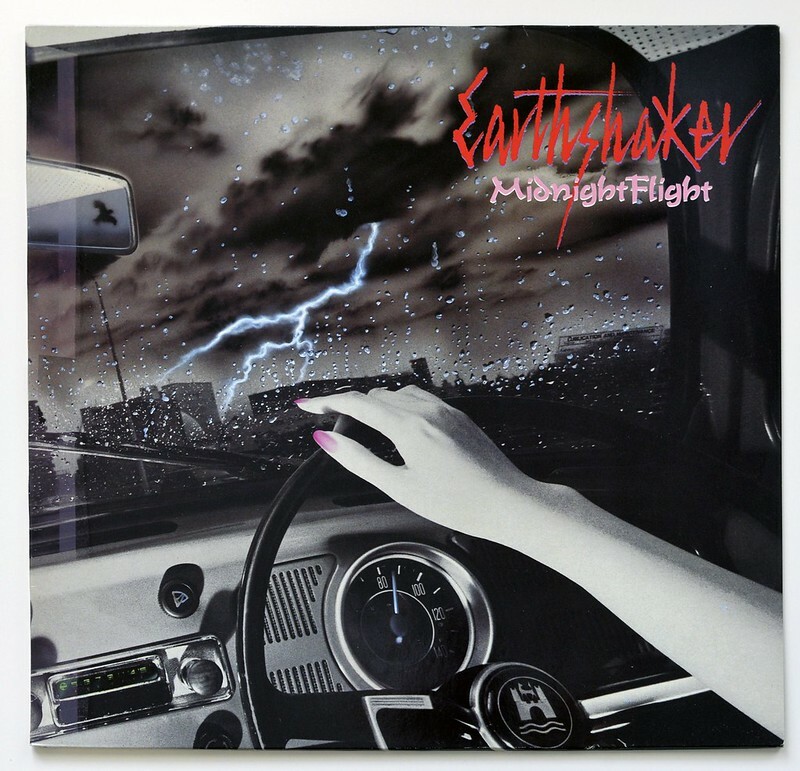 "Midnight Flight" is the third album released by the Japanese Heavy Metal/Hard Rock band "Earthshaker". The album was produced by "Masa Itoh". It was recorded from 3 until 17 July at "The Automatt". Sound engineers are "Ken Kessie" and "Ray Pyle". Album design and artwork was done by "Masatgugu "Max" Takahashi". Masa Itoh a successful producer and author (of album liner notes) and has produced albums for bands like "Earthshaker" and "Loudness". 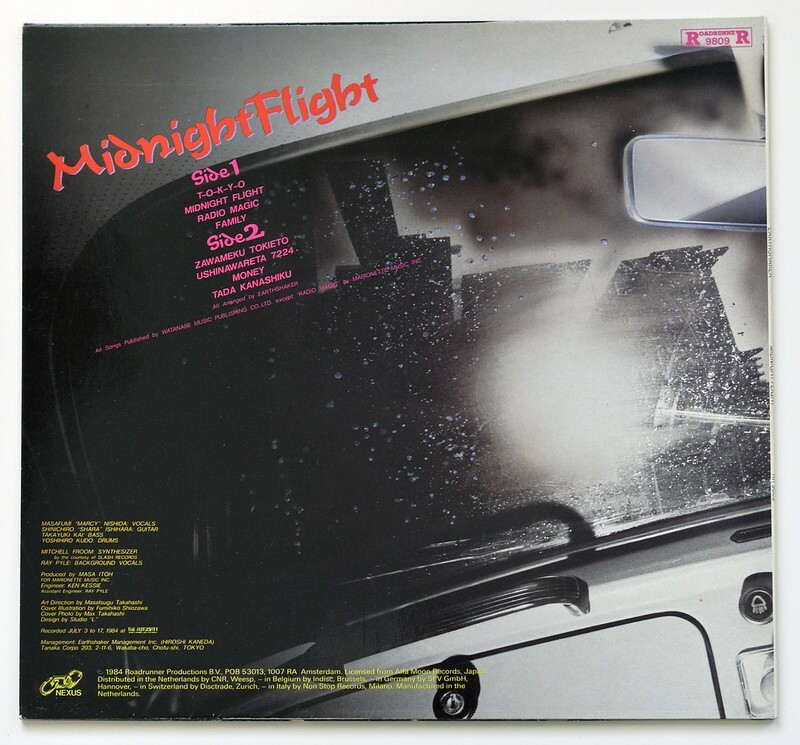 This album was recorded at: The Automatt from 3 until 17 July 1984. The Automatt was a sound recording studio in San Francisco, California, promoted for its early mix automation system. During its eight active years, 1976 to 1984, it was one of the top recording studios in the region. 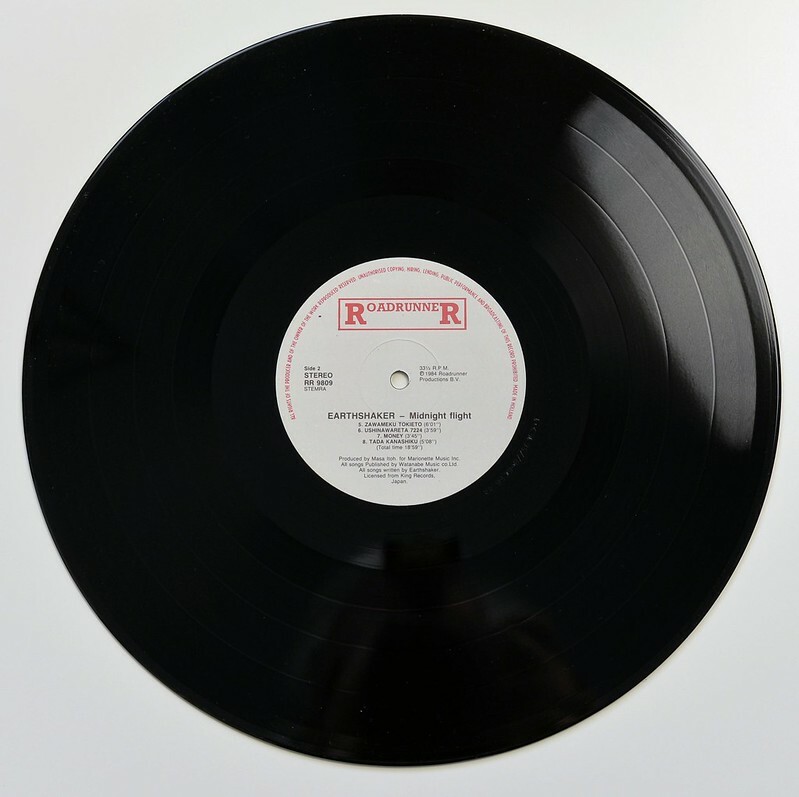 The Automatt was founded by producer David Rubinson and opened in an existing studio subleased from Columbia Records, who continued to record in the same building for a few years; thus it was sometimes referred to as CBS/Automatt. Rubinson leased the whole building in 1978 and from that point, operated three rooms for recording and mixing, a mastering room, a rehearsal room, and offices. The studio complex was known for its top-notch equipment, for the hit records it produced, and for the famous artists who recorded there. 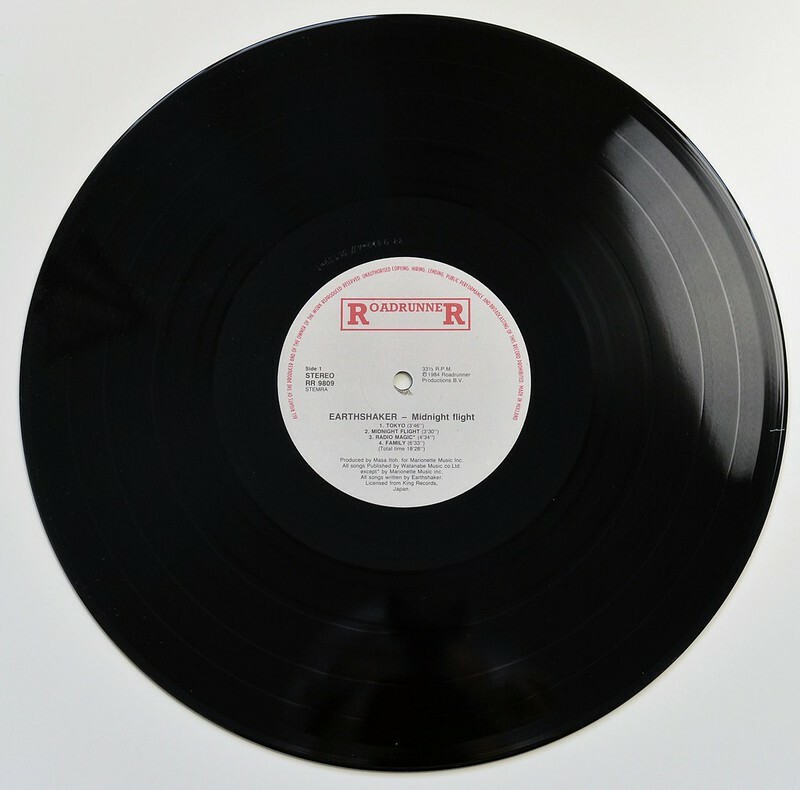 Under Rubinson and chief engineer Fred Catero it served as the training ground for respected recording engineers such as Leslie Ann Jones and producers such as Scott Mathews. 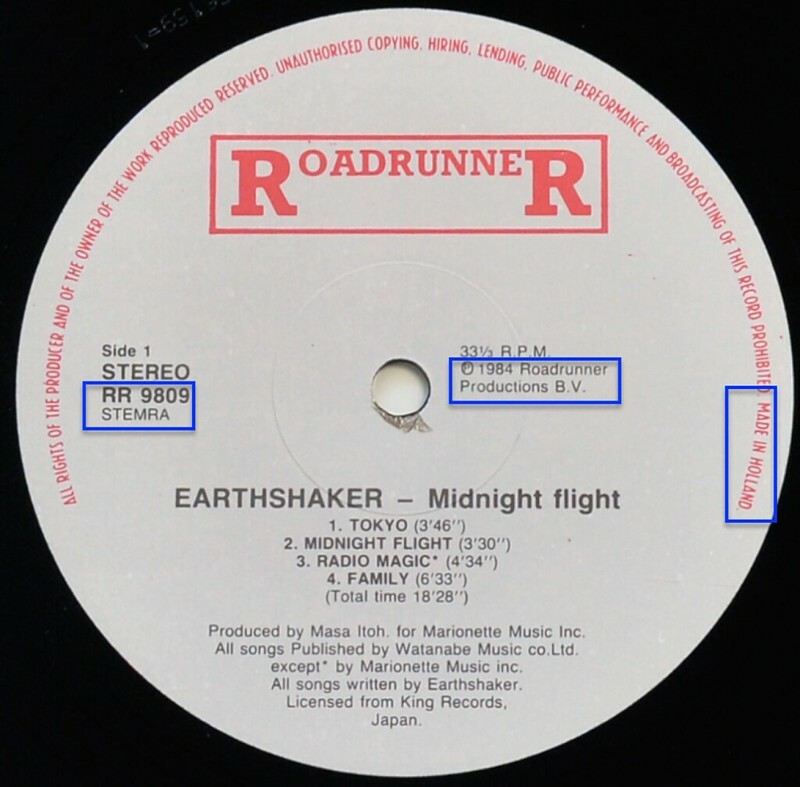 High Quality Photo of Album Front Cover "EARTHSHAKER - Midnight Flight"
Album Back Cover Photo of "EARTHSHAKER - Midnight Flight"
Complete Track-listing of the album "EARTHSHAKER - Midnight Flight"